Siberian Virtuosi - Fairfield, Iowa - Tune into our Vibe! Siberian Virtuosi, the State Ensemble of the Republic of Sakha (Yakutia) is an Ensemble of violinists and a pianist, which is gaining increasing popularity in Russia and around the world. Founded in 1994 as the Virtuosi of Yakutia, the Ensemble has given over 2000 concerts in 14 countries during the last 25 years. Known for their energy, unique arrangements and level of virtuosity, the group has won numerous awards at international festivals in Russia, France, Italy and Hungary. 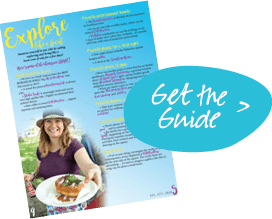 “The performance was fabulous!”, “Fantastic”, “On a scale of 1 to 10, they are a 12!”. The Siberian Virtuosi make frequent appearances on the radio and television stations across the Russian Federation. They are led by the Honored Art Worker of Russian Federation, Honored Artist of the Republic of Sakha (Yakutia), Professor Larisa Gabysheva, and Honored Art Worker of Russian Federation, Honored Artist of the Republic of Sakha (Yakutia), Professor Stanislav Afanasenko. 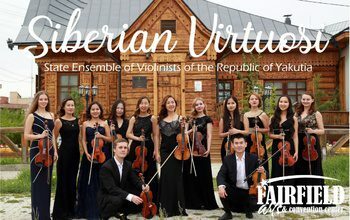 For their cultural and artistic achievements in Russia and abroad, as well as for representing the State of Siberia, the Ensemble “Siberian Virtuosi” was rewarded with the highest honor of the State – the name of the State Ensemble of Violinists of the Republic of Yakutia.